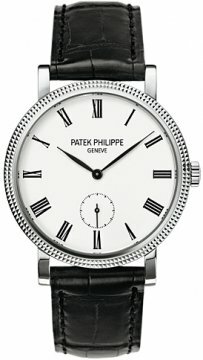 Patek Philippe was founded in 1851 in Switzerland and throughout the years it has earned a reputation for some of the most prestigious and sought after watches in the world. The reputation Patek Philippe watches has built has been well deserved and their time pieces are some of the most complicated ever made. 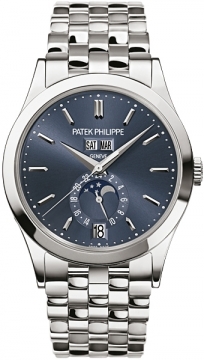 The Patek Philippe Company differs from many other watch manufacturers as it is still family owned to this day. Another factor which differentiates Patek Philippe and keeps its watches as exclusive as possible is the small numbers in which they are manufactured with numbers of between a few hundred and just a few dozen of each of its models. 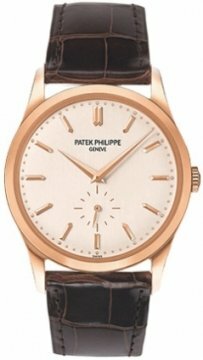 Patek Philippe watches are an investment piece with their value increasing hugely over time with many Patek Philippe models setting record breaking values at auction. They are truly a watch collectors dream. The ideal behind the Patek brand is something which translates from the company to the customer. The Patek family passes its traditions down from generation to generation and Patek Philippe watches are something which the owner can also pass down through their family as a continuation of the recognition of the Patek value and skilled craftsmanship which went into its making. Today Patek Philippe includes such unique collections as the Caltrava, Complications, Gondolo and Twenty-4.